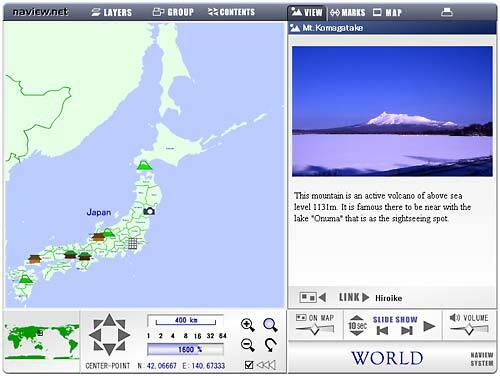 In NAview, operation to display the maps by move and zoom.and display a contents by icon. It has some function which are distance measurement,slide show,crearness print. Please look at explanation of how to use each part from a left menu. After loading some system files,map and text data. The above screen is displayed. A operation guide is displayed when arrow put upon each button for a few seconds.